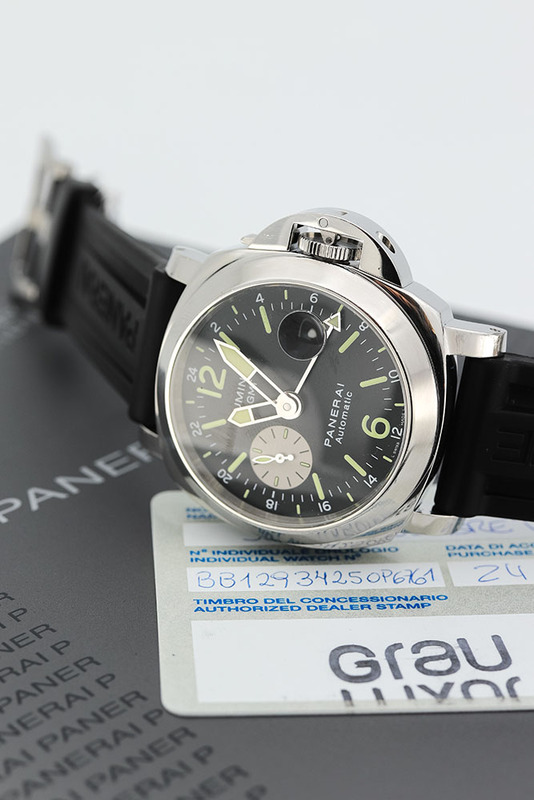 One of the prettiest designs ever made by Panerai. You’re looking at the Panerai 088 GMT. 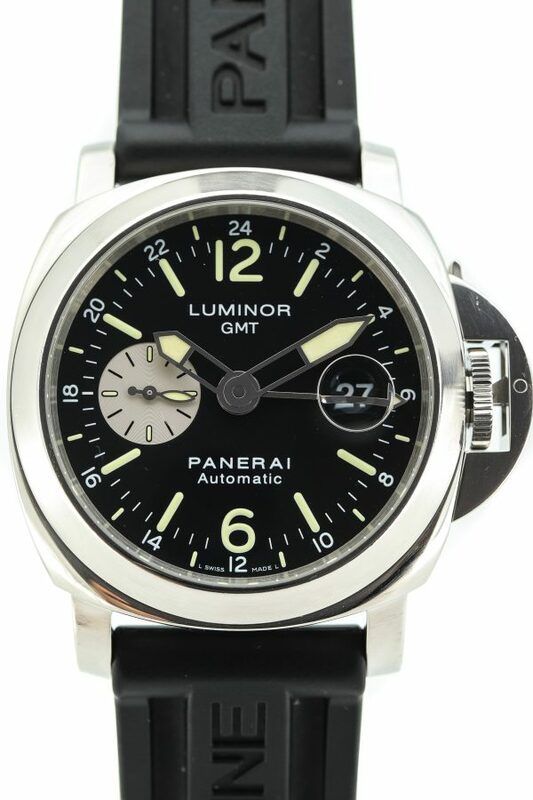 A very attractive military watch, practical for the different time zones we may or may not find ourselves travelling through in life. 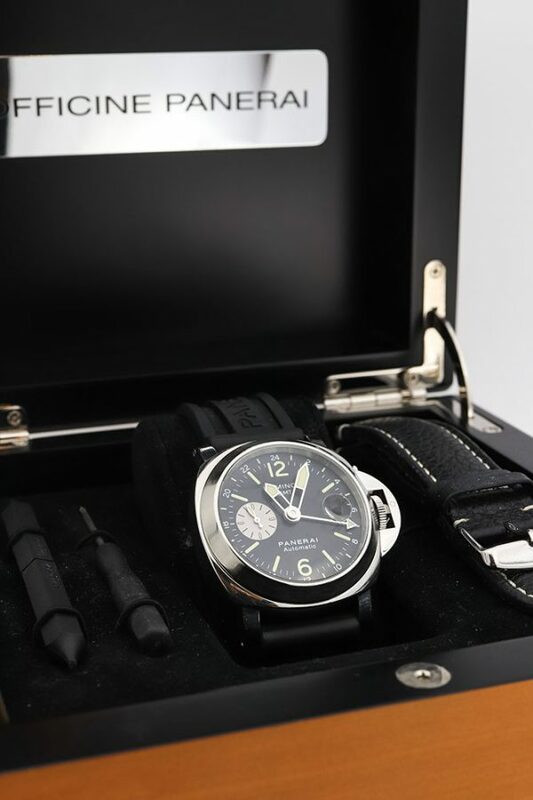 The watch case is what makes the look of a Panerai iconic. 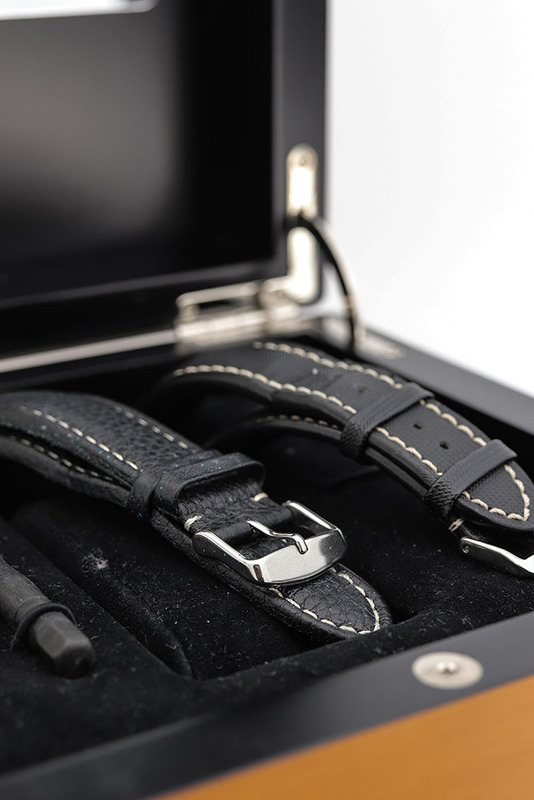 Its origins are found in a Rolex pocket watch, but the modern 44 mm watch case is glorious. 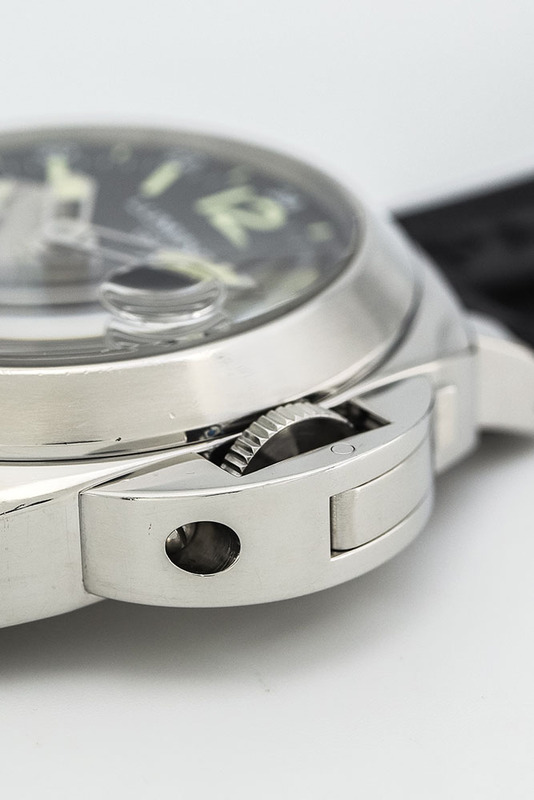 The polished 316L steel is a lust to the eye with its protective bridge built over the crown. 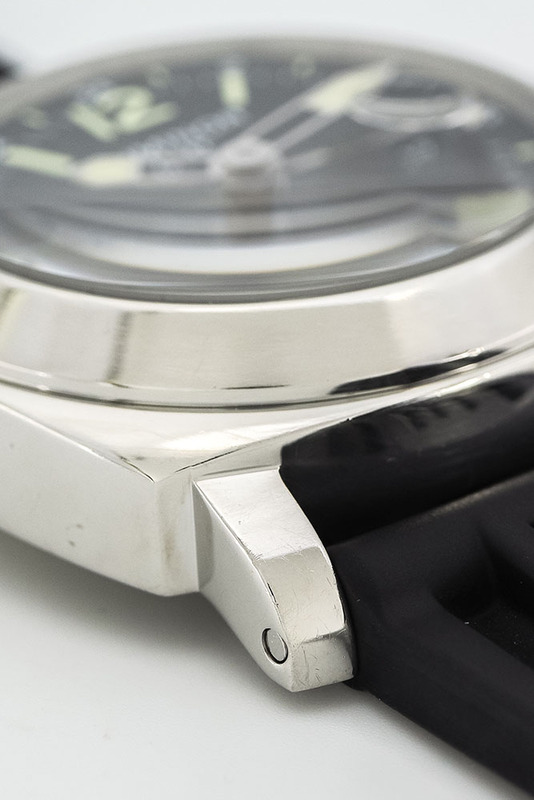 The domed glass has a perfect transition into the round formed watch case. The short square lugs don’t take off any of the beauty of this watch case. A perfect bold and elegant design at the same time. The functionality of this watch comes from the Valjoux 7750 movement hidden on the inside, a much-appreciated chronometer-certified movement. 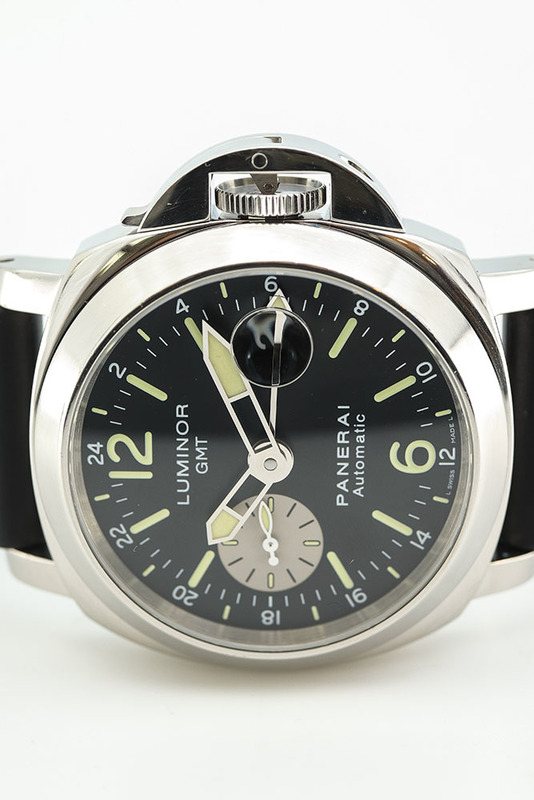 The dial in this Panerai is a unique one for Panerai standards. The white seconds-register is seen very little on the black Panerai’s dials, this ‘panda’-style detail make this watch look more interesting than many other Panerai’s. 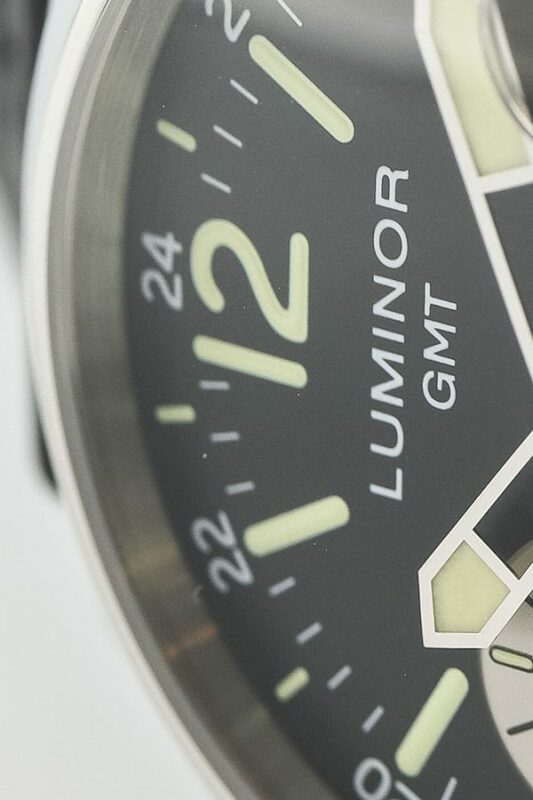 The big green hands and all the numerals may make you think like there is a lot going on in this watch, but when actually seeing it, you’ll notice that all the proportions are exactly right, everything just looks good. The 44 mm. looks amazing on the whist and against expectation, it’s comfortable! The original box and papers are included, just as the 2018 service papers and the COSC-certificate. A more than complete set.. 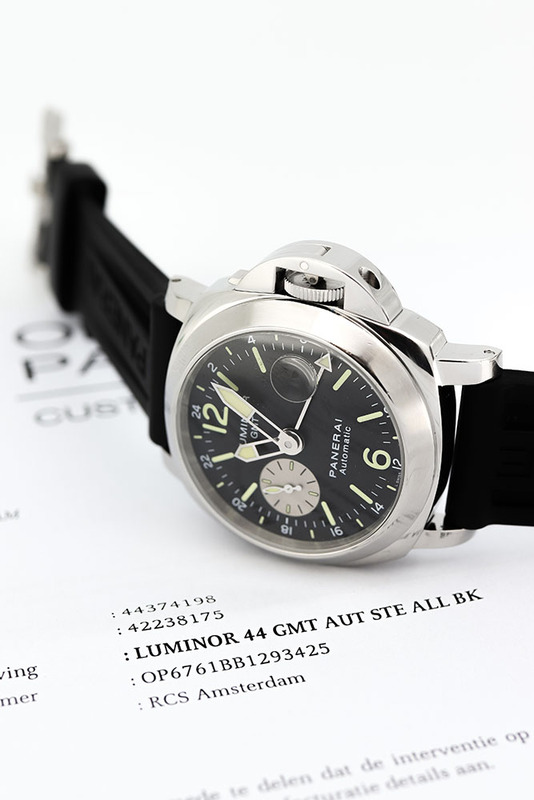 The recognisable rubber Panerai strap is equipped which looks a picture, but the original leather strap comes with this set as well. Visit our store in the Reestraat, Amsterdam, for more information. Tags: Automaat, Box&Papers, Service Papieren, 47mm.